Map of Rome Italy, tourist attractions and information. On this page about the map of Rome Italy, we are going to discover the capital of the Country and one of the most popular tourist destinations in the world. It is like an open space museum, the historic centre contains the highest concentration of ancient remains in the World and every building, every square has got its own history. One of the symbols of Rome is St. Peter square with St. Peter's Basilica (Vatican City), the largest Christian church in the World. The square was built by Gianlorenzo Bernini between 1656 and 1667. The Cupola was designed in 1546 by Michelangelo and re-designed and completed by Giacomo della Porta in 1590. The old town perimeter is surrounded by the Aurelian walls, overlapping testimonies of almost three millennia, is an expression of historical, artistic and cultural world of the Western European world. 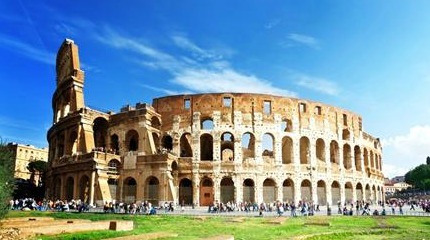 Another symbol of Rome is the Colosseum, the Flavian amphitheater, the biggest ever amphitheater built by the Romans. 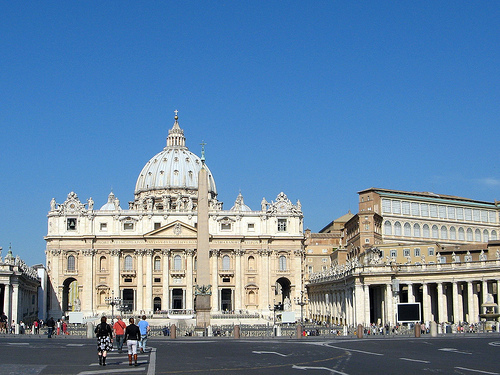 Since 1980, together with the Vatican extraterritorial properties in the city and the basilica of St. Paul outside the Walls, it is listed as UNESCO World Heritage Site. More than 16% of the World's cultural heritage is located in Rome (70% in Italy). With about 52,000 hectares of green ground, Rome is considered the greenest city in Europe. In addition to historic villas there are numerous other green areas, as well as land devoted to farming in more remote areas. The protected areas cover a total of 40,000 hectares. Rome is the largest agricultural town-area in Europe, with an area of 517 sq km, about 40% of the total municipal area, you can notice its vastity on the map of Rome Italy. In Vatican City there are also the Vatican Museums with the Sistine Chapel and Michelangelo affrescos, Raffaello Rooms ("Raphael's rooms"), the prestigious Vatican Library and other important art works of Leonardo da Vinci, Giotto and Botticelli. The town centre was built on the traditional "Seven Hills of Rome": Capitolino, Palatino, Viminale, Quirinale, Esquilino, Celio, and Aventino.